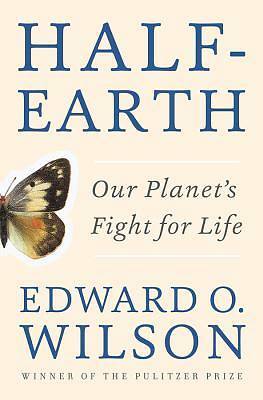 Half-Earth provides an enormously moving and naturalistic portrait of just what is being lost when we clip -twigs and eventually whole braches of life's family tree.- In elegiac prose, Wilson documents the many ongoing extinctions that are imminent, paying tribute to creatures great and small, not the least of them the two Sumatran rhinos whom he encounters in captivity. Uniquely, Half-Earth considers not only the large animals and star species of plants but also the millions of invertebrate animals and microorganisms that, despite being overlooked, form the foundations of Earth's ecosystems. In stinging language, he avers that the biosphere does not belong to us and addresses many fallacious notions such as the idea that ongoing extinctions can be balanced out by the introduction of alien species into new ecosystems or that extinct species might be brought back through cloning. This includes a critique of the -anthropocenists, - a fashionable collection of revisionist environmentalists who believe that the human species alone can be saved through engineering and technology.